Growing up as a “military-brat” started Carolyn Kephart on a nomadic life that continued after marriage when she and her husband moved from school to school. Kephart eventually received a Doctorate degree. For more information, visit her web site. Ryel Mirai is a wysard, living and learning his craft from his mentor. When his mentor becomes trapped in “the void,” a kind of limbo between Ryel world and the next one, he must leave the safety of his city on a quest to find the spell to save his mentor. This book is actually two books (both available separately). They are Wysard and the sequel, Lord Brother. The author has also added “deleted scenes” and other bonus material in this omnibus edition. 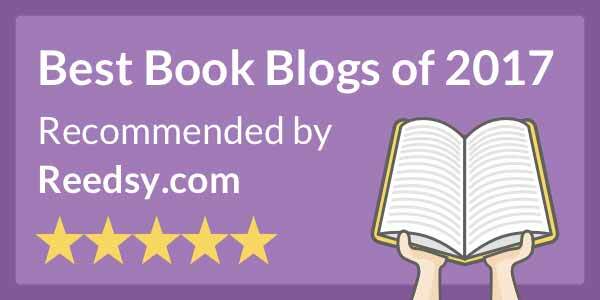 The Ryel Saga was selected one of the Top Indie Fantasy books of 2010 by Red Adept Reviews. Since getting a Kindle, I've made a conscious effort to branch out from my normal genres, reading books I wouldn't have given a second glance in the past. This was one such instance. The last book in the fantasy genre I remember reading was at least twenty years ago. Given that I'm not sure how to evaluate, the story or the fantasy world created within the book against others in the genre. All I can say is I enjoyed the story and find it impressive that anyone has the imagination to create a world so different from ours, yet vivid and internally consistent. 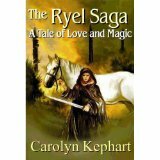 However, there are two things about The Ryel Saga that any avid reader would be able to judge and appreciate. The first is the vivid descriptions. In a world unlike our own, I need all the visualization help I can get. Kephart's ability to paint her fantasy world in words is amazing. The other item I both appreciated and found intriguing was the use of language. Subtle changes in syntax from the norm and the use of obscure words act as continual reminders that the world you're observing is foreign. Some of those words may not be in your vocabulary (they weren't in mine) but typically, the meaning was apparent from context. If you're reading on a Kindle, you'll find almost all are in the built in dictionary. Grab the opportunity for a little vocabulary building as you read as I did. I read this prior to starting the blog; however, I believe there were not any serious issues in this area. I'm english so forgive my, what may seem to be naivety, but what is a 'Wysard'? I think it's an old word for 'wizard'. First Anon, I think second Anon is on the right track. It is either an alternative/older spelling or a made up term meant to evoke the idea of a wizard when we read it. At least that is my take. This sounds quite interesting. I haven't read much fantasy myself for many years but I used to be quite the avid reader: Thomas Covenant, etc. This book might actually persuade me to get a Kindle. I read this one a while ago. It was decent enough to read it through and even reread it, but as an avid fantasy reader, I wouldn't really classify it as a 'good' book. I liked the relations between the characters, and the world-building (mostly). But at the end, I found myself unsatisfied. I felt there were some gaps in my understanding of that world, one character in the second book felt 'Deus ex machina'-ish (even though I don't think she actually does anything), and -aside from the Bad Guy- a Wysard seems to be the most useless kind of person in that world. Also, the books left me with the distinct impression the author is severely homophobic. That might just be me, I might be seeing implications where they weren't intended, but it has somewhat ruined the books for me. So, a decent read, I would definitely lend you the books if you wanted, but I wouldn't actually recommend it to my friends.